Moving in with the in-laws. This last week has been very busy. Me and my partner decided to leave our first home and move in with his parents. Now, I can already hear many of you shouting WHHHHHY at your screens, but we obviously had our reasons. We have never been what you call ‘responsible with money’ and unfortunately we found ourselves in a hole that would’ve taken a miracle to get out of whilst renting. So, in order to get our finances sorted, we packed up and moved into the in-law’s house so we can firstly, pay off what we owe and secondly, save up for a deposit for a house that we could really call a home. It’s only been five days but honestly, I feel happier already. No, our finances aren’t sorted but there is now a chance for them to be in the future. The idea that in a couple of years, we could have no debt and possibly saved enough for a deposit on a house, makes me so excited for the future. I’ve also found that me and my partner are happier together. There isn’t this constant worry hanging over us about whether we could afford to pay a certain bill or tension because one of us bought something we didn’t have the money for. We are enjoying time with each other without nagging or bickering and it feels amazing. We are sharing a bedroom with our 2 year old daughter at the moment, so we don’t really have the space to relax and spend time with each other as a couple. Which was to be expected and will make the time we spend together in our next home even more worthwhile, so it’s not that big of a deal. The other downside to sharing a room with our daughter (and this is why I asked you to stop reading Cynthia and Tony) is that romance is slightly tricky when you have a toddler sleeping at the end of your bed. 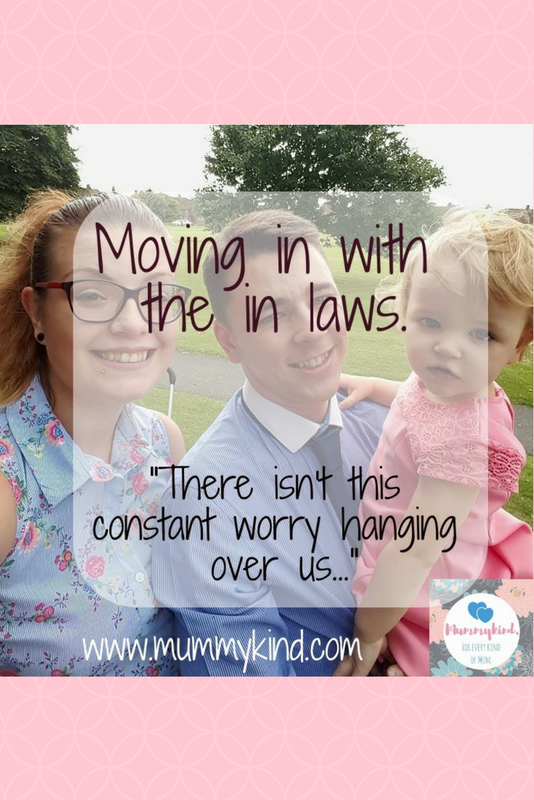 So as much as we’re happier as a couple, there is a little less us time than what we are used to.I’m not going to say that this will work for everyone, I’ve been lucky that I get on with my in-laws and we are lucky enough to have this as an option. But as I said, it’s only been five days so it’s still early days. I will be sure to keep you updated on how things are going and how well we are saving. Have you ever moved in with your in-laws to save money or maybe you couldn’t think of anything worse, let us know in the comments! I loved with my in-laws for 4 years. We got on really well! Obviously it had it's moment were it was difficult. We had two children, no us time and a house full of people. But we now have bought our first home, it's made it more special and we appreciate all of the help the in-laws gave us to allow us to save for our home. Good luck on your saving! Good for you! That moment when we finally own our own home will be so worth it! Hit the nail on the head there! Thank you for commenting!